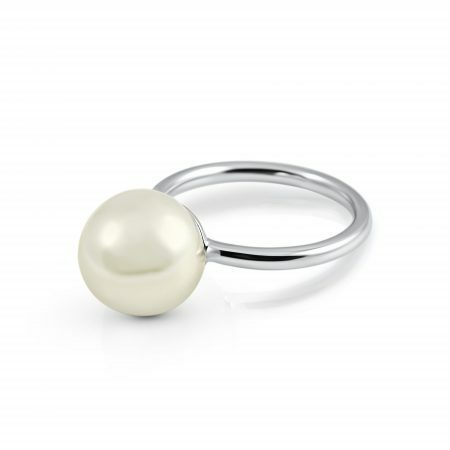 An 18K white gold Autore South Sea Pearl dress ring. Featuring a 11mm white high button Autore south sea pearl. With a simple half round band. 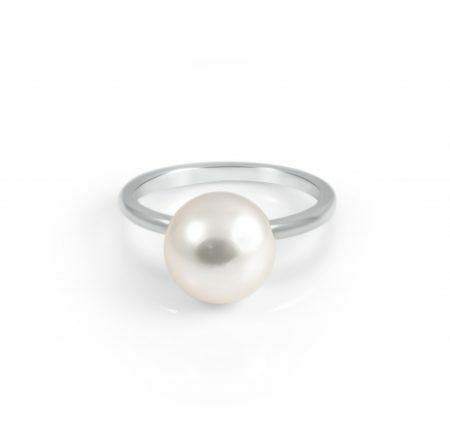 Read about the Autore south sea pearl farms here.